More communication between users sending and receiving invite requests. When sending an invite request, you do not receive any form of feedback as to what is done with your request. The only feedback you can receive is the notification of an invite when it is accepted by the recipient. 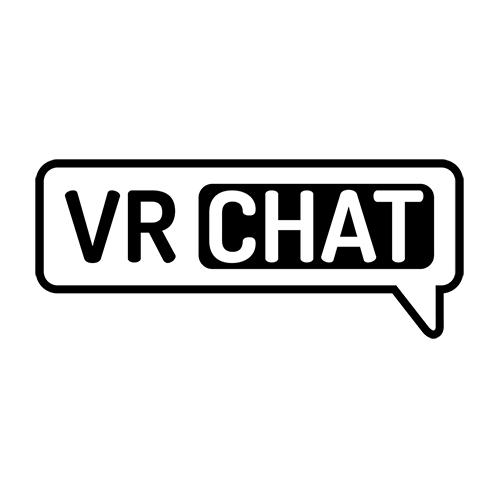 More than often users are busy and cannot accept invite requests, the lack of feedback and information for user sending the request can impact the VRChat experience for that user negatively. A comparison can be made to a phone call where the receiver can only accept or let it ring. Users who may suffer through depression, anxiety or other issues that are related to insecurity often feel left out and users receiving the requests are often are blamed for ignoring users who send the request. The user receiving the invite request could be in a conversation, streaming, afk, RP, testing and many more reasons. I have reason to believe that by simply giving the users who are using the invite system more information about what they're doing that users would be able to communicate with each other better and prevent unnecessary misunderstandings. The most basic solution would be a status that every messaging app has: Available/Busy. Though this wouldn't be enough to solve the issue as nothing changes in the interaction that occurs between two users using the invite system. A more thorough solution would be similar to how smart-phones give you the option to send a pre-made or custom message to the caller such as "I'm busy right now, talk later"
If the solutions above are not appealing, anything is better than nothing for those with insecurity issues. That way they are not left to their own thoughts to wonder endlessly why things are happening the way they are. An option to add a status message that your friends can see when the click your profile in the online friends list. You might be in a private world with certain friends, recording a video or streaming and you would like to tell your friends what you are doing so you don't have to reject invites/requests causing hurt feelings of rejection from your friends. Just a simple "Busy" button would work in this case, just have it next to the accept and decline buttons. Then it could just send a message back to the user who requested saying "<Username> is currently busy right now"
Maybe add an extra Status for content creators, so people know that someone is streaming or recording. So If a Person Doesnt want to be recorded/streamed He can block the content creator If He wants too, without shamkng the content creator for Not letting know that He IS recording. Yeah we need this so people like me know if somone do RP or are busy, so you know mabe don't get sad like i can easy get feeling that no one want to be whit me. But get the info like (in RP) (afk) (busy) is match easy so no one feel shut out. Hey there! Great idea and write up. In an upcoming release (hopefully in a couple of weeks) there's a new feature called "user status" that aims to address this very issue and a few other ones. Users can set custom status state and even a message that their friends can see. Green - "join me" which provides auto reply with an invite when someone "requests invite". Yellow - "active" which means you are open to invite requests but manually replying. Red "busy" which turns off your notifications and lets people know you probably won't reply. Also users can type in a short custom text message that any friend can view. Public users will only see the default color and status message. @Fapiano: I'm pretty sure it'll be set to Yellow by default, but I would advise having a tooltip on the different statuses in-game, like when making instances. Yes that would be great. Some premade answers like "busy", "I wanna stay here, but you can join" *automatically sends an invite back*, "Not interested", "not now, but maybe later"
I believe the pre-made messages option is great with a little tweak. Let the player set up the pre-made message to send with some character limitation to prevent abuse. There does need to be a more informative invite system. Maybe with a option of a message system for people who are sending or receiving invites. One side asks if they are able to get invited in or not and other side would send a invite message on what they are being invited for. Adding a invite setting with options such as "AFK", "Busy" or "In RP" would help better on this, too. Perhaps a Do Not Disturb or Busy mode would simply alert the invite-requesting user that they're not accepting invite requests. also a separate invite symbol for inviting and request would be useful too. so it would be easier to tell which is what. it's something i had in mind for a while now. but this would be useful also.